Scalable solution allows operators to spin-up virtual managed services, from security to routing, SD-WAN to IT services, and much more. The ETX-2i also serves as a Universal CPE (uCPE), Whitebox+, which enhances a pluggable x86 server module with plugware to enable superior performance for vCPE applications. It is supported by RADview management and orchestration. 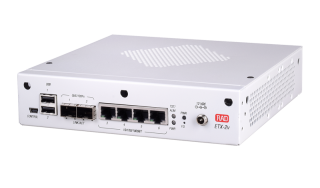 The ETX-2v supports a wide range of business customers and user scenarios, from small offices to large sites, using a variety of bandwidth and processing power options. Part of RAD’s vCPE Toolbox portfolio, the MiNID enriches the Service Assured Access offering with software-defined functionalities for enhanced demarcation, remote monitoring and fault isolation, as well as remote packet capture and micro-burst measurement capabilities. 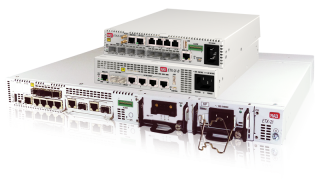 MiNID also provides instant upgrades for legacy switches and routers, as well as for vCPE platforms and COTS servers. This helps service providers, mobile operators and wholesale carriers introduce new services quickly and with better quality of experience (QoE) while increasing operational efficiency and lowering costs. 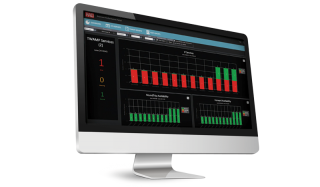 Remotely managed via CLI, web interface and SNMP, it features zero-touch provisioning for fast and simple installation and does not require dedicated training. The miniature Ethernet over STM-1/OC-3 converter provides TDM connectivity to any Ethernet device with an SFP (small form-factor pluggable) compatible GbE port. Hot-swappable and software-configurable, the intelligent SFP converter is a fully managed device supporting standard GFP encapsulation. It delivers a complete Ethernet over SDH/SONET solution in a finger-sized SFP enclosure and enables a quick rollout of new Ethernet services over legacy TDM infrastructure. The MiRICi-155 is part of RAD’s “System on an SFP” product line. The smart SFP miniature remote bridges provide TDM connectivity to any Ethernet device with an SFP (small form-factor pluggable) compatible Fast Ethernet or GbE port. 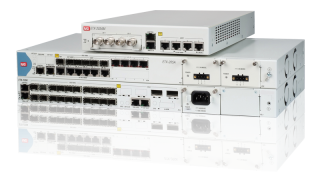 Hot-swappable and software-configurable, the intelligent SFPs are fully managed devices supporting standard GFP encapsulation, as well as HDLC and cHDLC. MiRIC-ML supports PPP and ML-PPP, with the vAccess VNF as the virtualized service engine. They deliver a complete Ethernet over PDH solution in finger-sized SFP enclosures and enable a quick rollout of new Ethernet services over legacy TDM infrastructure. The MiRICi-E1/T1, MiRICi-E3/T3 and MiRIC-ML are part of RAD’s vCPE Toolkit. They provide simple and cost-effective alternatives to external, standalone bridge units or conversion cards for user devices, saving on space, cabling and power consumption, and simplifying management. Featuring multi-standard pseudowire support and Synchronous Ethernet (Sync-E) in a finger-sized enclosure, the smart SFP devices provide an ideal solution for service providers, utility companies and enterprises wishing to ensure highly accurate timing synchronization for their legacy services while migrating to packet switched transport. 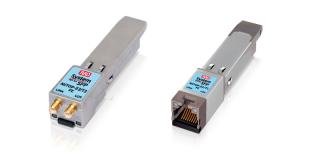 Part of RAD’s “System on an SFP” portfolio, the MiTOP-E1/T1 and MiTOP-E3/T3 are designed for quick and simple insertion into any Fast Ethernet or Gigabit Ethernet port with an MSA-compatible socket. 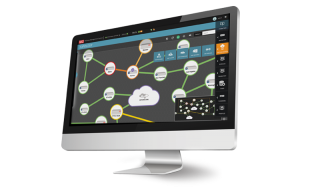 RAD’s vCPE-OS is interoperable with open source management platforms, and easily integrates with standards-based SDN controllers, orchestrators and operations/business support systems (OSS/BSS) from major providers. Featuring a comprehensive management and security suite, vCPE-OS is unique in its convergence of key OS components of NFV infrastructure (including a KVM hypervisor, Open vSwitch, OpenStack, and other elements) with embedded networking capabilities and integrated drivers for LTE and Wi-Fi. In addition, it enables seamless integration of RAD’s pluggable physical network functions (PNFs), such as OAM, Timing, TDM, DSL, and PON. The virtualized encryptor operates at the data link layer (Layer 2), masking the payload of received network traffic. The headers are left unencrypted to ensure traffic forwarding through the network remains unchanged. The vEncryption VNF can be used in both point-to-point and multipoint topologies for transport services. Featuring both networking and security functions in a single software, the vFirewall is used to address all WAN connectivity requirements of a business branch, providing VPN or internet access services. vFirewall is available with all ETX-2i and ETX-2v platforms, allowing service providers to expand their managed services portfolio with a simplified and unified architecture. vSD-WAN is used to connect enterprise branch offices and data centers at a lower cost compared to IP VPNs. Offering multi-tenancy and high availability to optimize cost/performance of end-customer services, it features distributed network service functions to provide the flexibility and elasticity for easy, highly scalable and secure deployments. In addition, self-provision and self-care capabilities transform the customer experience. vSD-WAN can be hosted as a VNF on RAD’s vCPE-OS and deployed with any ETX platform, as well as any supporting white box. This allows service providers to expand their managed services portfolio with a simplified and unified architecture. vRouter offers efficient, cost-effective business gateway functionality as part of VPN, cloud and internet access services. The European Advanced Networking Test Center and Upperside Conferences invited interested vendors to our public multi-vendor interoperability test and showcase at the MPLS + SDN + NFV World Congress 2017. RAD and HP Enterprise’s vCPE solution brings RAD’s award-winning Distributed NFV products into HP’s OpenNFV architecture in a single, integrated platform at the customer edge. This paper describes the joint solution and the various use cases it addresses, as well as provide details of the tests conducted. RAD, working with Intel® components, technology and partnerships, has developed a vCPE platform for use at the customer edge. This paper describes the solution, its components and management and orchestration. The virtual CPE is a prime candidate for initial commercial deployment of NFV, especially in business services. This paper presents vCPE implementation options available for service providers. It also reviews the various factors that should be considered to avoid pitfalls and ensure optimal bandwidth efficiency, security, survivability, performance, diagnostics, and QoE. At MPLS+SDN+NFV World 2016, RAD’s CTO, Dr. Yaakov Stein presented vCPE architectural options and compared implementation options based on suitability and performance for various use cases. A review of the various vCPE implementation options available for service providers and the factors that should be considered to avoid pitfalls and ensure optimal results.